DOES UBS INGRATIATE ITSELF WITH UTAH COURTS BY BUYING A PLACE IN UTAH HIERARCHY OVER THE MORMON CHURCH? UBS Utah Industrial Bank cartel member has higher Utah Symphony standing than the Latter Day Saints (Mormon Church). UBS seems to forget poignant historical points of reference. UBS should remember what happened with Fouquet for doing the same thing to his French King Louis. UBS elderly USA client “perfection experience” all started with the UBS solicit, recruit, isolate, control ending in dupe and loot. Salt Lake City (SLC) Federal and State Courthouses are the last processing stage in the UBS swindle of USA elderly mortgage clients. The UBS Bank USA split off mortgage clients and illegally transports them to the USA Federal or State SLC courts for continued harvesting and processing with court judgements always in favor of UBS. UBS and it’s Utah collaborators have made millions illegally havesting and processing UBS elderly USA clients. They have also become procedurally sloppy enabling many incriminating documents to be collected. We have seen in the displayed Utah court graph, the processing is a growth industry for the Utah State and Federal courts, surrounging law firms, administrative collaborators, Utah politicians et al. UBS USES MIAMI AND SALT LAKE CITY AS COURTS OF PREFERENCE FOR A REASON! UBS global wealth management chairman, master criminal and fugitive from US Justice Department Raoul Weil set up two UBS favorable courts Miami and Utah to process UBS client victims. As quid pro quo Weil had to give something in return, hence the Basel Art Show and Utah Symphony sponsorships. Master criminal Raoul Weil was to be tried for his US crimes (United States of America v Raoul Weil). As a declared US flight risk Weil was allowed US freedom by UBS posting a nominal bond. As soon as Weil left prison Weil escaped back to Switzerland to continue his criminal work from UBS offices in Zurich. Impressive Raoul Weil is the man who knew too much to be convicted by Washington. 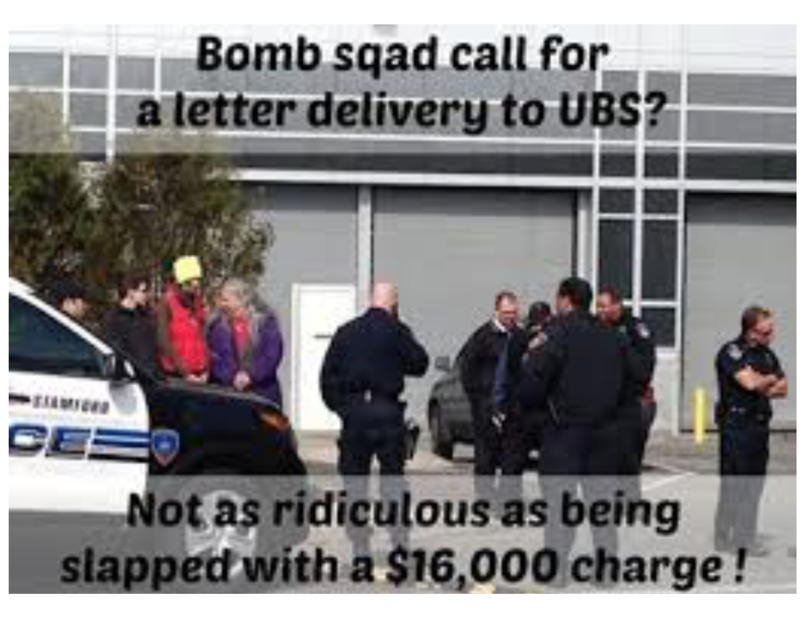 We are now seeing the pain and agony caused by UBS criminal strategy created by Raoul Weil and his mentioned Swiss co-conspirators to UBS US clients, especially elderly. We’d love your articles much better if you could mention more names of those involved in SLC Utah. It is discouraging to know we have to go to outsiders for your information. Our Church has to cleans itself of those who have strayed. Please give us more names. We’ve heard you are going to make revealing disclosures before the Presidential election that will be profound. One of the City financial lawyers said he heard it in Southampton. Will it have an impact on the markets? Can you give any hint? God only knows when one is dealing with the UBS Americas Group crowd. UBS is a member of the Utah Industrial Bank cartel. UBS has a prominent storefront in Park City Utah for international oriented customers with a talent for skiing. In Utah we’ve got wealthy we call super Mormons who use the international services of UBS. The IRS offshore accounts list has exposed none of these UBS account holders. Why? 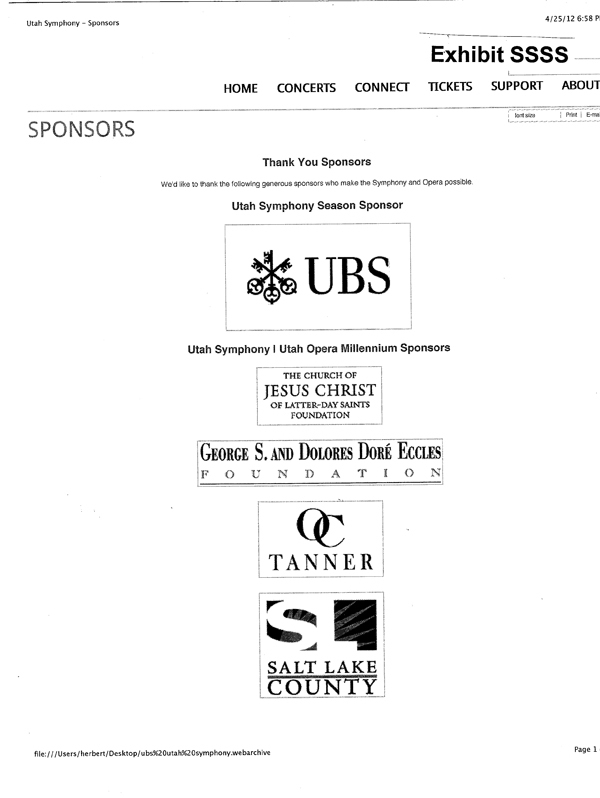 UBS has insinuated itself within the Utah infrastructure using Utah Symphony sponsorship. This is the same UBS strategic scheme that has been done with the UBS Miami Basel Art Show, for the same reason. UBS is a member of the US Federally unregulated Utah Industrial Bank cartel using the alias of UBS Bank USA. As such, UBS has been given special relationship status with the infamous 3rd District Utah Court. Among other things, this Utah Court is used to process harvested UBS Clients transported from other US states. It has been so successful the 3rd District Utah Court has proudly advertised their success with graphs and press releases (see Issue 13). Utah reliable sources say the Utah Industrial Bank Cartel is bigger than the Utah Penny Stock Cartel. We have been told by those solicited by UBS “incentivised” salesmen of the alleged UBS secret offshore account procedure. UBS salesmen get a commish (commission) for referring a perspective client to UBS Swiss sales force lurking just outside the United States borders, rather than at the Miami Basel Art Show or the Utah Symphony. As we have mentioned, much of the Salt Lake City economy has for decades been based upon the Penny Stock and UBS Utah Industrial Bank Cartels. Neither Utah Cartel is regulated by any US Federal agency. These dubious Cartels were allegedly given the 3rd District Court of Utah to enforce their ill-gotten gains against US client victims. This has caused yet another dubious legal industry to sprout around the 3rd District court with buildings stuffed with lawyers feeding off of the out-of-state victim clients. It is a double hit upon the Cartel client victims.